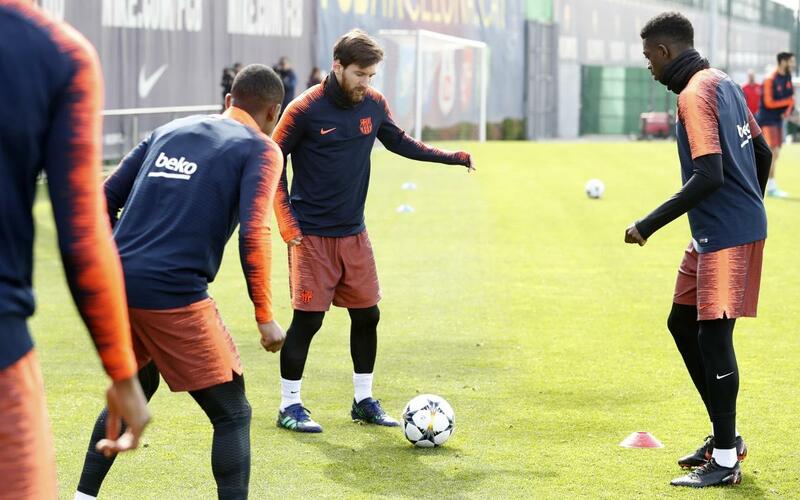 Following the thrilling Saturday night comeback against Sevilla, the FC Barcelona players were back in training this Monday morning on the Tito Vilanova pitch at the Ciutat Esportiva Joan Gamper. The focus has shifted to Champions League action, with the team pitted against AS Roma in their quarter final first leg this Wednesday (8:45pm). In good news,midfielder Sergio Busquets trained as part of the group, alongside his first team teammates and Barça B players Carles Aleñá, J. Cuenca, Morer, Ballou, Samu Araujo and Riqui Puig. The Blaugrana have a hectic schedule of three games in the space of six days, with fixtures coming up on Saturday against Leganés in LaLiga and the return leg of the Champions League tie in Italy next Tuesday.